In line with the Annual Plant Sale, the Friends also have a Spring Gardener’s raffle. 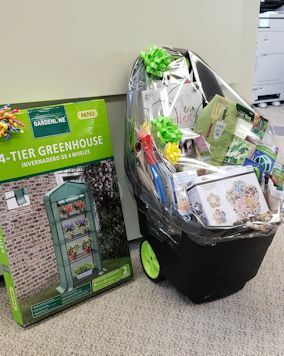 You can win one of 3 prizes: Prizes are:- A Garden cart filled with items donated by Friends of the Library includes the 4 tier Mini-Greenhouse. 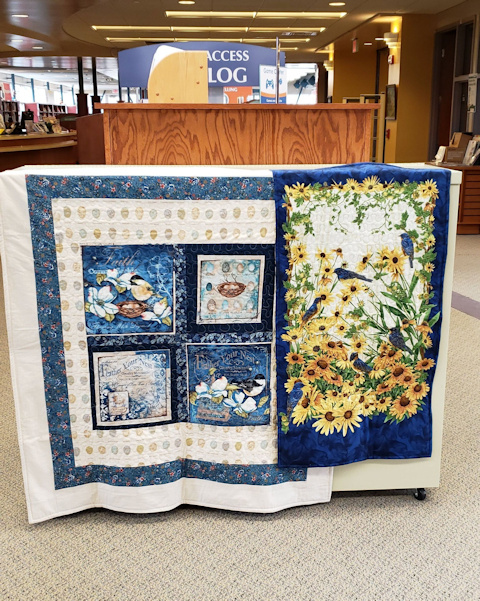 OR: Wall hanging and quilt are designed and donated by librarian Liz Graves. OR: Three pieces of original artwork are created and donated by local artist Val Pieroni. Tickets, available at the Circulation Desk starting Monday April 15th., are $1.00 each or six for $5.00. The drawing will be held May 11th at 12 Noon at the Library. Winner need not be present. Prize must be picked up within 14 days.